When was the last time you were stark raving mad about a game? Not a digital game on your phone or computer, but an offline IRL game like the ones we used to play as kids (for those of us old enough to remember a time when children played non-digital games 😛 )? For me, it had been a long long time, until I came across a card game last year, Red7 (you can check it out on Amazon here), which is what I’d like to tell you about today. Stick around and I’ll even share a video explaining the card game rules, so you can really get a sense of what Red7 is all about. How Did I First Come Across the Red 7 Card Game? 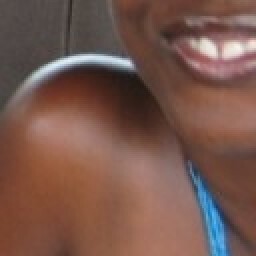 On a lazy Sunday in Kampala last year, I went to visit my cousins as I usually like to do. I could see she wanted to teach me a card game because she had a deck of cards in her hands. Although I’m not a big fan of games, except for Scrabble and Monopoly, I decided to humour her. My cousin explained to me that we were going to play a card game called Red7. Although it’s a card game, I could see we weren’t going to play with a standard deck of cards. Instead, Red7 has special cards made specifically for the game, sort of like Uno (remember that?). I could see that the cards in my cousin’s hands had numbers, colors and words written along the side. My cousin began to explain the card game rules to me. She began to say something complicated about how certain colors trumped others and that there were cards to be held in your hands and others to be placed in front of you. She also mentioned something about being able to change the rules of the game and making sure you were always winning at the end of your turn. Sounds confusing? It sure did to me. I stopped my cousin mid-explanation and told her that I simply couldn’t understand what she was telling me. Instead, I suggested that we begin to play the game and then she could explain as we went along. So, I’ll try to do the same for you. Instead of trying to explain what Red7 is all about, here are a couple of videos that do a great job of explaining it. The first video is simpler to understand, while the second one is more exhaustive, explaining the card game rules in full, and includes a sample round of Red7. Ok, now I am pretty sure you’ve got the hang of it. Back to my cousins and I. Quickly enough, I got the hang of Red7. So much so, that I won 5 games in a row. We were playing the basic version of the game (watch one of the videos above if you don’t know what I’m talking about), and I loved how the game kept me on my toes. I had to keep track of the value of the cards in my hand, while balancing which rules I could likely win the game with (related to the colors of the cards), all the while monitoring the cards the other players had in front of them (in their palette). It had been a very long time since I had played such a fun and engaging game. My cousins and I had to wrap up our gaming party soon enough since one of my cousins had to go to work. As I went on to do other things that day, my mind kept wandering back to Red7. I guess I wasn’t the only one because soon enough, one of my cousins came over to my place so we could continue playing. Playing with the advanced rules added a whole level of complexity to this already fun and complex game. Developing a sure-fire strategy to win became a lot harder. I was like a person possessed. Whenever I was free, all I wanted to do was play Red7. It quickly became me and my cousins’ default Sunday plan. And whenever other family members spent Sundays with us too, we’d be sure to also introduce them to the game. It’s on one such Sunday that I learned two more things about Red7: 1) Red7 is truly a 2-4 player game. If you try to play with more than 4 players, some drop out within the first round of play for lack of a way to beat so many palettes; and 2) kids can also play Red7. 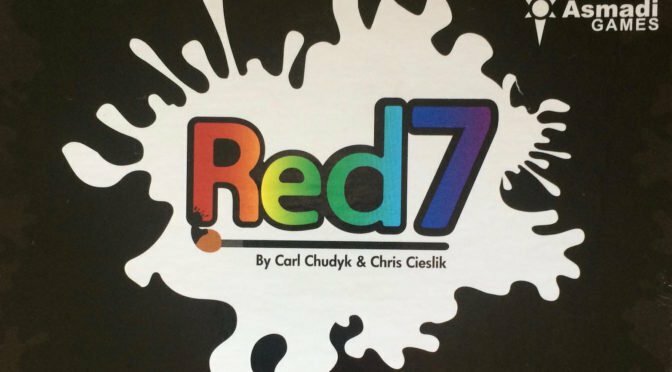 Is Red7 a Card Game Suitable for Kids Too? Although Red7 is said to be suitable for kids 9 years and above, I thought it might be too complicated for kids not yet in their teens. As my 10-year-old nephew aptly demonstrated to us one Sunday, this is not the case. So…in case you are looking for a fun and interesting way to spend some of your leisure time, I thought I’d tell you about this fantastic card game today. My cousin got her copy of Red7 from a friend who lives abroad, but you can also find it here on Amazon. If you check it out, or have played it before, please let me know what you think of the game in the comment section below. P.S. Would you like to spread the word about your product, service, establishment, or event? If so, find out how I can help you do that here. But the next time I am in your neck of the woods, we have to have a game of good ol monopoly!